Welcome to another blog post! 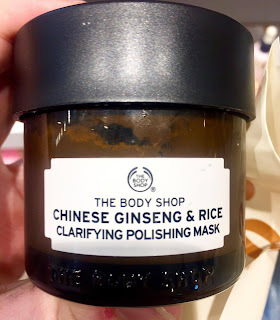 For a while now, I've been trying out the face masks that are available at The Body Shop and I thought that it was time to tell you what I think about them all. 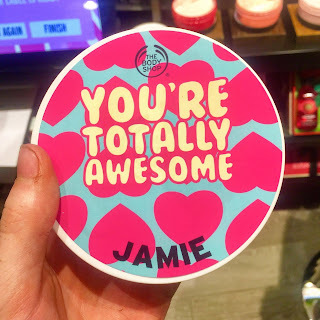 The Body Shop have created some amazing skincare over the years but within the past year they have released ranges such as their Vitamin C, Vitamin E, Oils Of Life and Superfood Face Masks. They have also released things such as Vegan Make Up Brushes. TBS have also released a Northern flagship store in the heart of Leeds city centre which showcases exclusive products and concepts such as personalised body butters, a VIP room and now create your own scrubs. Charcoal draws out the impurities within your skin so if you need something that will make your skin feel cleansed and healthy looking then this one is perfect for you. This mask is 100% vegan as well so if you're looking for a vegan mask then this might be for you. Honey is known as an amazing moisturising product and as this product also contains Marula and Olive Oil it ensures that your face gets all the nourishment that it needs therefore if your face is a little dry then this might be the perfect one for you. This mask is inspired by Chinese tradition and contains a mixture of Ginseng and Rice extracts and Sesame Seed Oil. This mask is perfect for anyone who is trying to ensure that their skin is brighter looking or has a more even colouring to it. This mask is also 100% Vegan and has a gel consistency to it. It's infused with Rose Petals, Rose Essence, Rosehip Oil and Organic Fair Trade Aloe Vera. All of these ingredients help to nourish and ensure that the skin has a dewy look to it. If you want to find out more about these masks then you can always check out The Body Shop's website here. Have you tried any of the The Body Shop face masks? Let me know down below! I hope that you have enjoyed this blog post! I hope that you're having a great week. This is not a sponsored post. I've tried all of these masks via samples from The Body Shop. All views in this post are my own.